Luxury, space and a real sense of the outdoors. 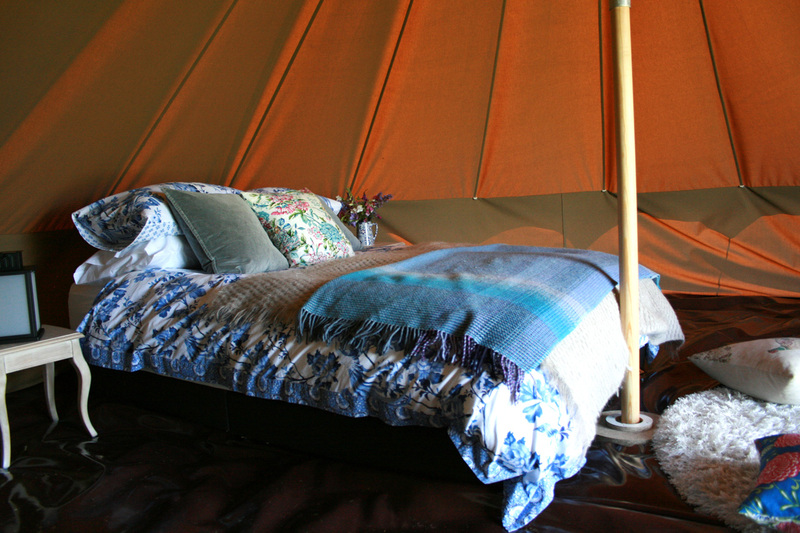 Bell Tent glamping at Hilltop Hideaways is a truly unique way to enjoy the back-to-nature feeling of sleeping under canvas but with the comfort of a proper bed, lovely soft cotton sheets and a feather down duvet. 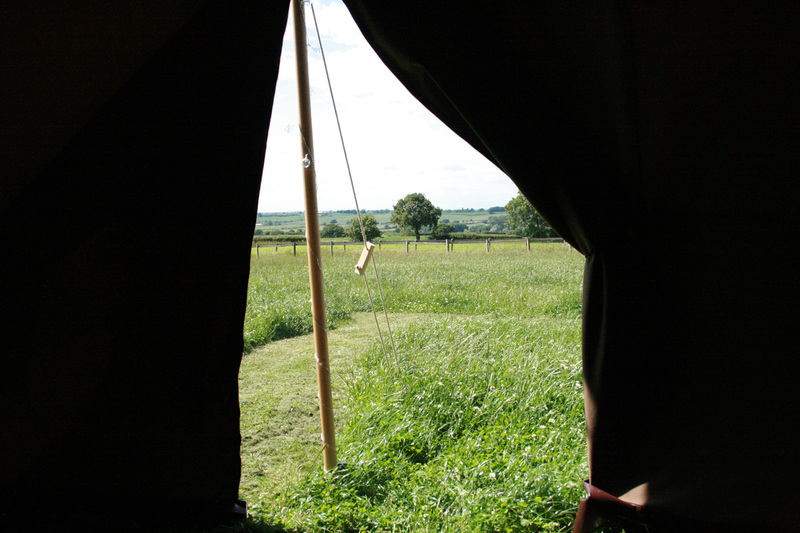 Our bell tent camping is set in some of the most beautiful Warwickshire countryside with magnificent views across open fields. 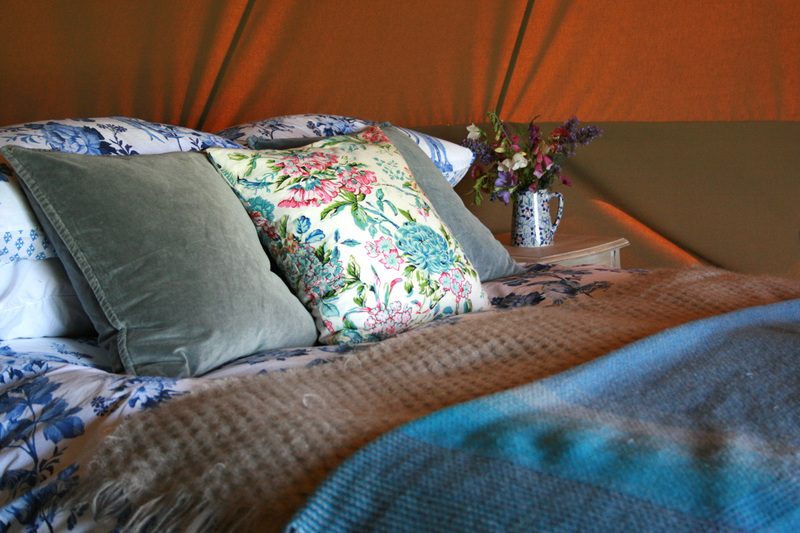 All of our bell tents are hand-crafted in the UK from some of the finest canvas available and they sleep up to four, making it the perfect weekend escape with or without the children. Wake up in comfort to stunning views across the Warwickshire countryside and explore all this beautiful location and its surrounding areas have to offer. 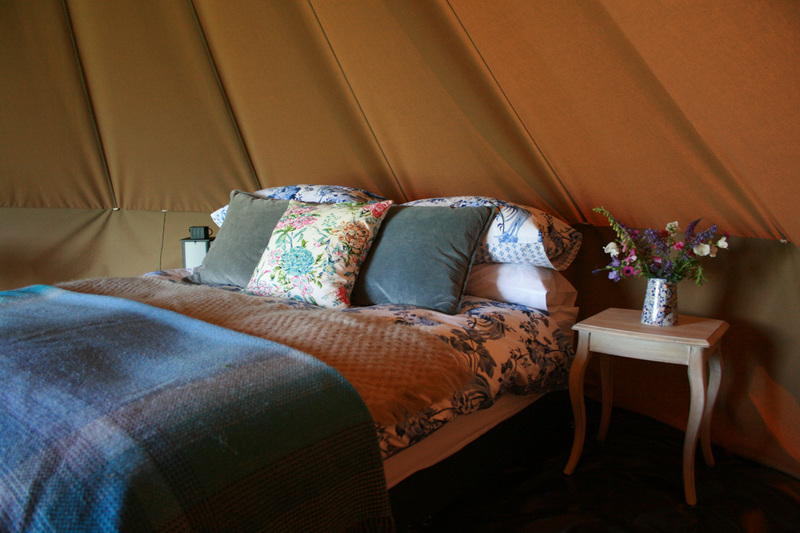 Glamping tent hire with Hilltop Hideaways offers you an affordable, hassle free way of experiencing that sense of the outdoors with some extra glamour and home comforts and we do all the hard work for you! 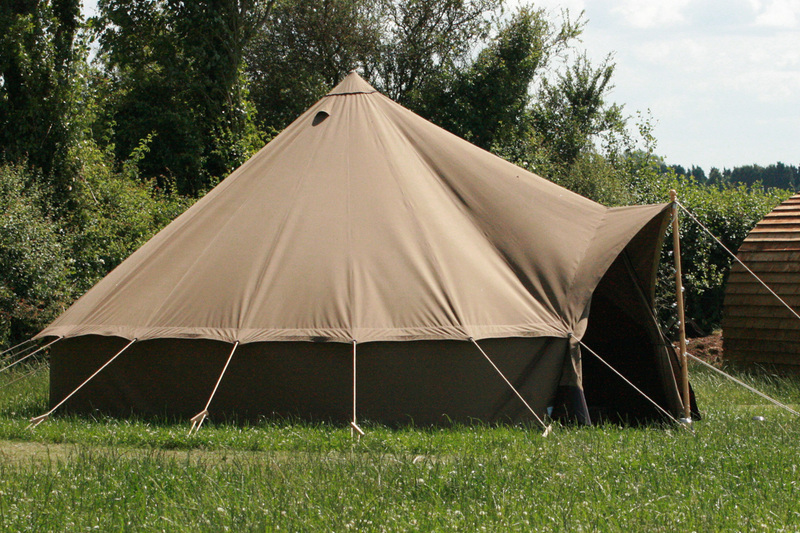 Ready to go bell tent glamping? 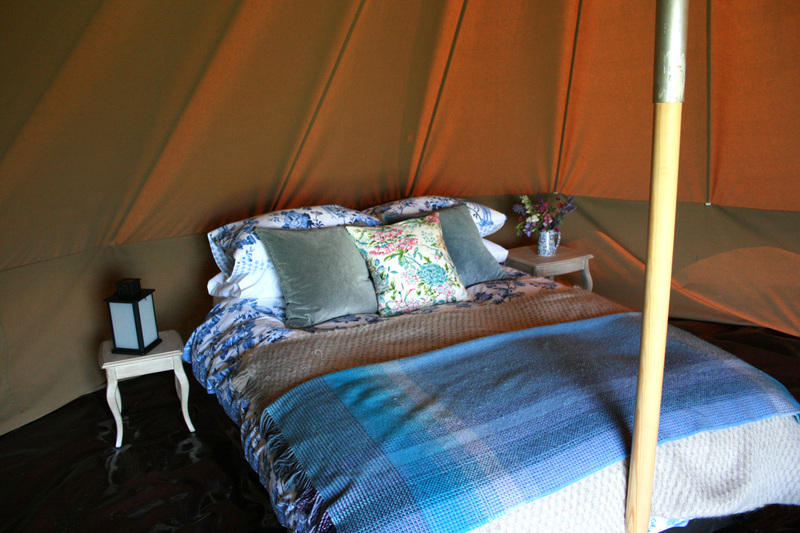 Hideaways bell tent glamping is an affordable way to go camping with that little bit of luxury thrown in. We have four for you to stay in, offering luxury, space and real sense of the outdoors. Why not book your stay with us today? To make a booking please select your preferred dates. 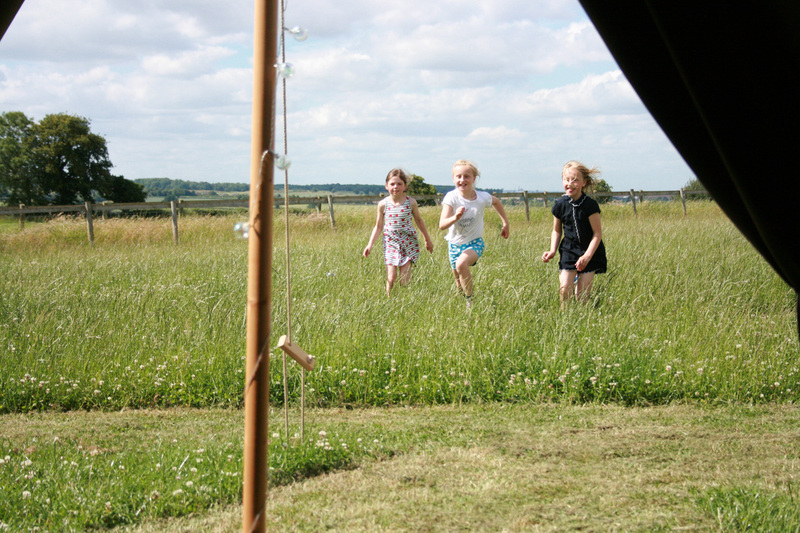 Want to discover more about our bell tent camping holidays?